In case you happen to own an Apple TV it may seem like a stretch of the imagination to think that it would be possible to control it using an Android device. 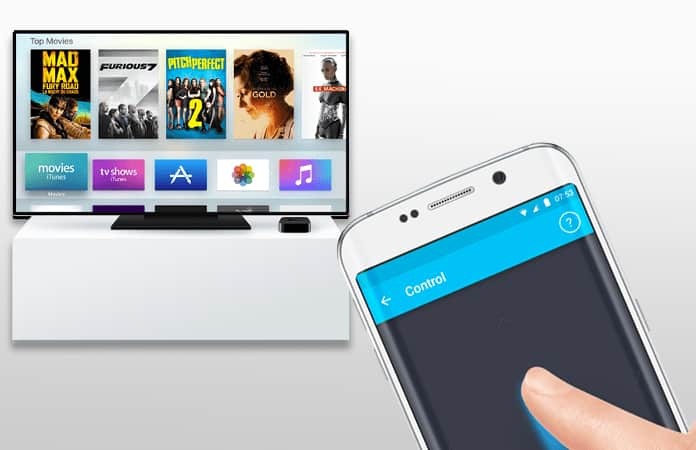 The reality is that in fact, this is quite possible all through the use of certain Apple TV remote apps for Android devices that are available in Play Store. 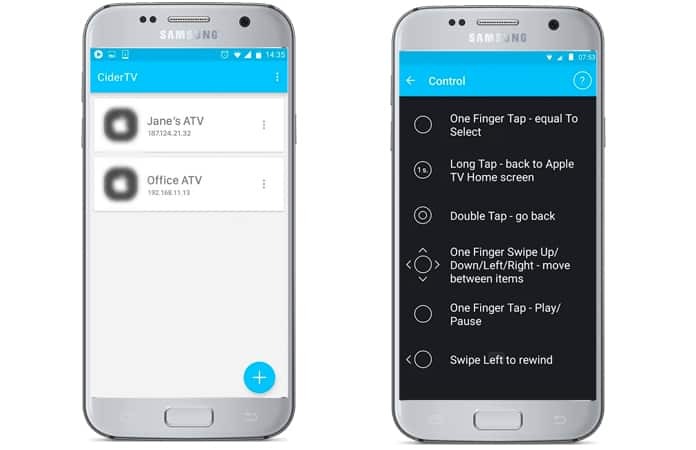 Ditch the Apple TV remote and make use of something that is more functional and user friendly for when it comes to controlling the TV. Just choose one of the apps given below. They are useful because they provide functionality along with numerous features which often a lot of convenience. In addition to this, setting them up and getting started is extremely simple and easy. 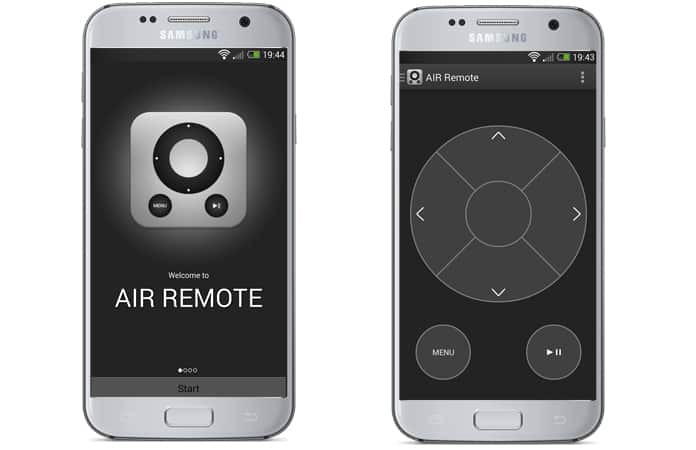 AIR Remote is another very functional app that offers an infrared blaster and it provides the user with complete control of the Apple TV. The intuitive and presentable UI and features make using it very easy and the numerous buttons like up, down, left, right and play/pause along with OK mean there is no issue when it comes to micromanaging the settings of your Apple TV. The best part is that Macs with infrared receiver are also supported. 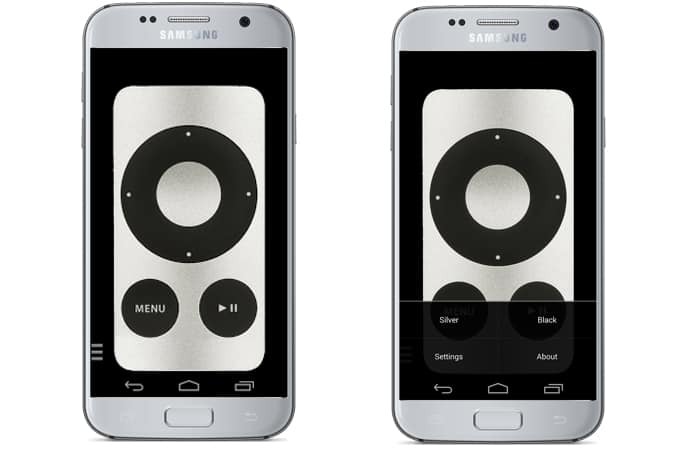 This is probably the best Apple TV remote apps available for Android currently. What sets it apart is the superior design and the ability to control your Apple TV with the maximum amount of convenience. The ATV can be navigated very simply using gestures to move between the menus. In addition to this there is a notification center widget to add comfort to the mix and it works with numerous Apple TVs from the 2nd generation all the way to the 4th generation. To increase the functionality of the app you can go for the Pro version which is available for $0.99 per month or $3.99 annually. SURE app allows not only the easy handling of the Apple TV but even extends this functionality to the Mac Mini and MacBook Pro. It’s compatible with only Samsung devices like the S4 or later, Note 3 or later and Tab 2 or later with IR senders. 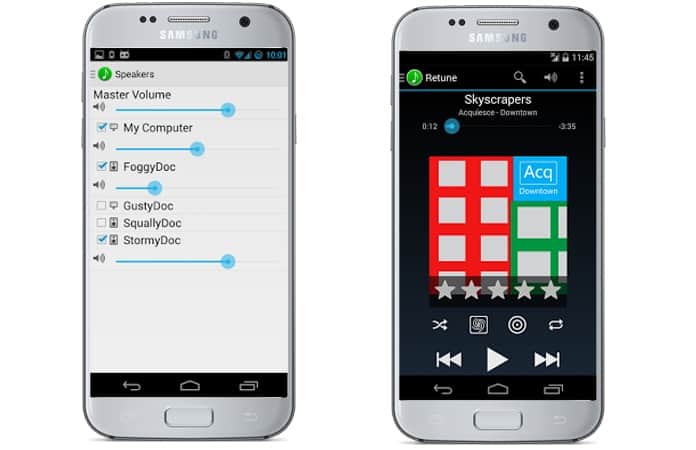 The notification bar allows easy navigation and so it is overall a great app for its purpose. This is the app that should be an automatic choice for when you want to play and view different iTunes movies, TV shows, podcasts, audio-books and more. It is even possible to check out Genius mixes and stream using your Apple TV while the notification and lock screen controls are extremely useful. The sidebar will let you get to your goal even faster and quicker! The Remote for iTunes offers a really rich amount of features; there are fully functional item menus which allow options to vary the volume, to add tracks, shuffle, repeat and browse through different categories. The convenience doesn’t end there, however, since it even allows you to connect multiple iTunes simultaneously. 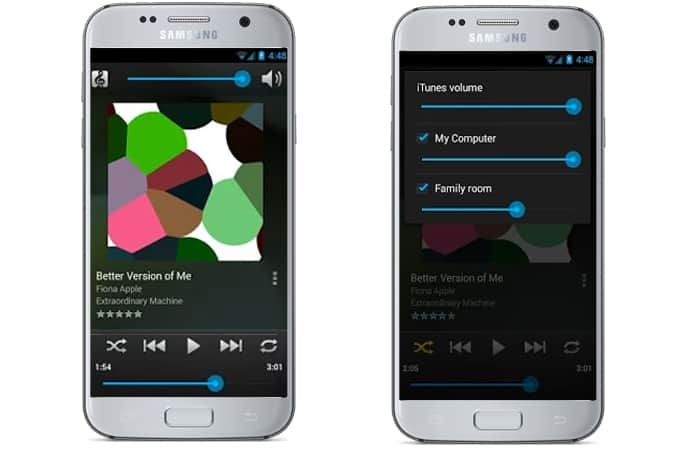 You can even rate tracks and check out the ratings of different songs and to top it all off there are even home and lock screen widgets to offer simplicity of use. 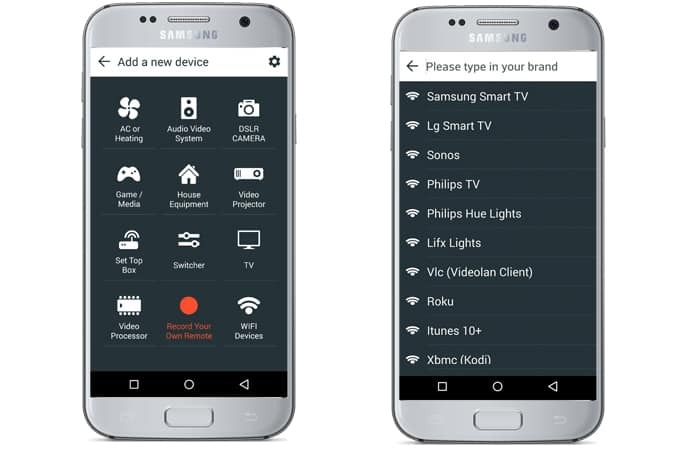 Versatility is the name of the game when it comes to this app, since it allows control of set top box, DVD player, blu-ray, Roku, Apple TV, audio system and other home appliances as well. The app offers a built in IR blaster which will deliver superior performance and will set a reminder for you so that you can watch your preferred programs on time without delay. 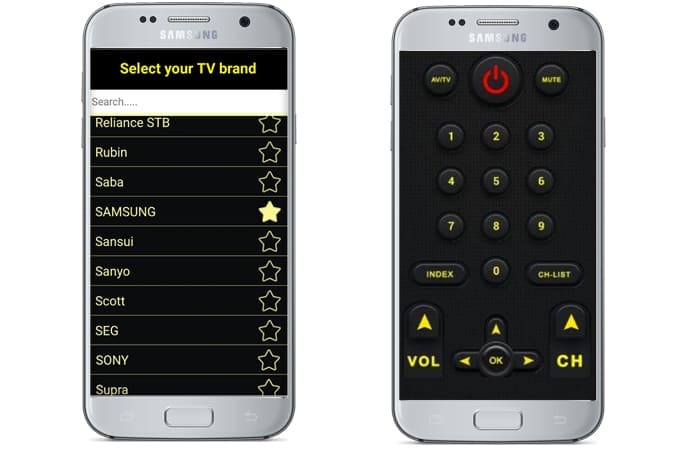 In addition, it is even possible to customize by choosing favorite channels and programs. This is an overall great remote app for the Apple TV since it offers a magnificently easy to use UI. It is extremely simple in design but has numerous effective features that will let you navigate through the menu with the utmost ease. It will even work with other Apple devices such as the MacBook Pro, iMac and the iPod with an infrared receiver. 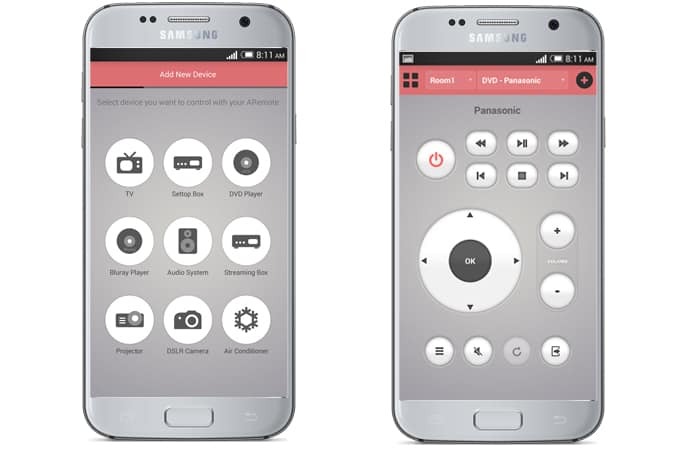 This is another great app for Apple TV control using an Android devices. One thing that makes it extremely special is the fact that it has user friendly functionality. In addition to that is the fact that it works with numerous devices which can include a DVD remote, Blu-ray remote, VCR remote, amplifier remote, air conditioner remote, AV receiver remote and a DSLR camera. 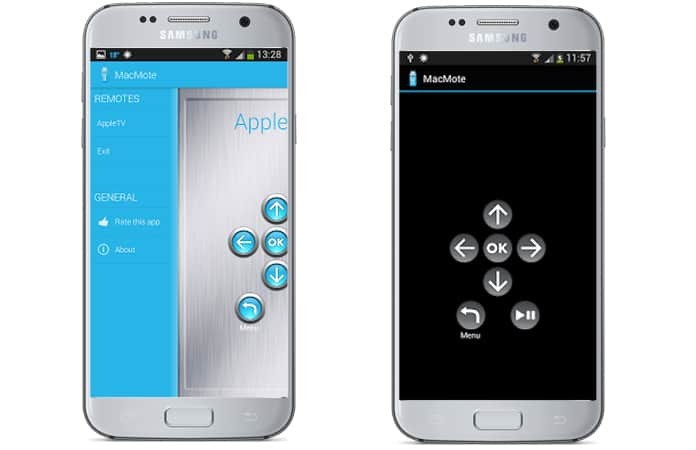 Many of the features and gestures here will allow you to control the devices with the utmost ease. You can also automatically activate commands or macros in a simple yet effective manner and widgets just add to the ease of sending out these commands. 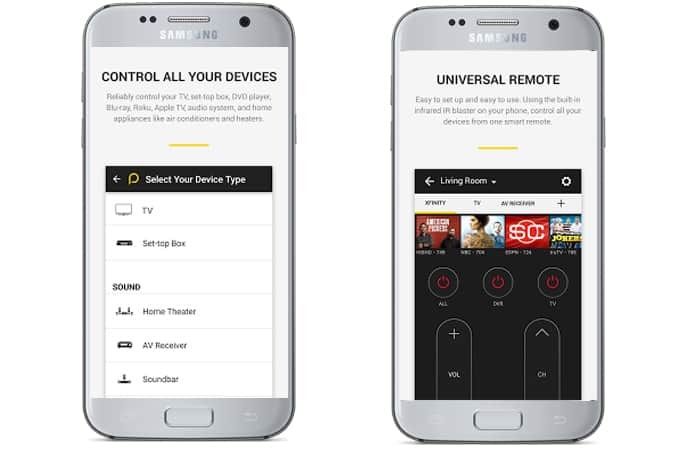 ASmart Remote IR is extremely user friendly and is a universal remote app that will provide everything that you could want to get the best out of your TV, DSLR camera, air conditioner, projector or some other appliance. The buttons all feel very natural to use and will let you handle the device with the utmost ease and comfort. You can switch the volume and surf between channels in a very easy manner and the consistent level of performance the app offers makes it a top choice for any Apple TV user. This is a universal TV remote and it does very well in providing overall great functionality. More than 30 million active users is a testament to its popularity and effectiveness and shows that it is more than capable of controlling an Apple TV. There are numerous important qualities such as intuitive design and ease of use that factor in when deciding an Android app for this purpose. After having a look at all these choices which is the one that you like the most? Let us know in the comments section below!